NAMASTE, ROWAN: So long, Sicily! Last night I arrived home after a lovely 10 days in Sicily with the boy. Much gelato was eaten, a little Italian was spoken, many photos were taken and wonderful memories were made. I'm spending most of today in bed, snacking on fruit and catching up on Blogger and Youtube, feeling a little sorry for myself for not still being on a sandy beach with the sun on my skin and a coffee gelato in my hand, but also feeling incredibly grateful for the experience. I have a lot of photos to sort through and edit before I can put together some proper posts about the trip, so in the mean time here are a few snapshots from my Instagram of what we got up to. 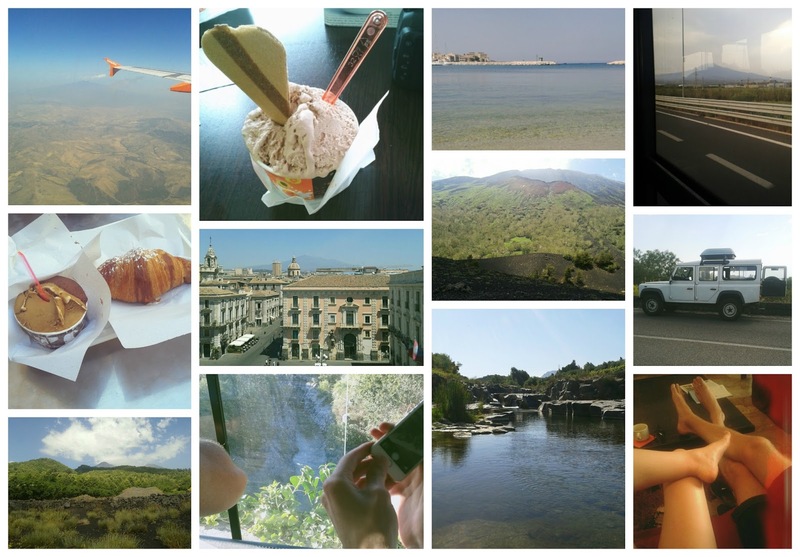 Once I've gone through the photos on my camera I'll be putting together an individual post for each day we spent in Sicily, so keep a look out for those! I hope you're all enjoying the summer so far, and if you have been or are going somewhere exciting, let me know in the comments!